1899 Opel is one of Germany’s car manufacturers. 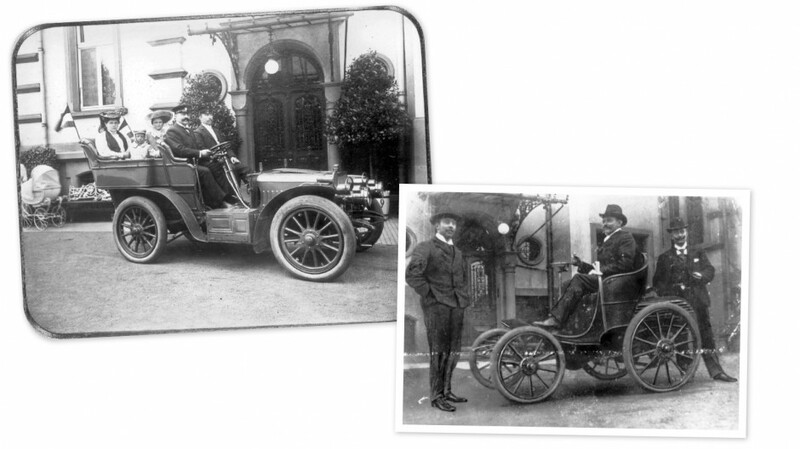 The first Opel-Patent-Motorwagen System Lutzmann resembled a horseless carriage (top photo). The Darracq featured a rounded hood. The compact ‘Doctor’s Car’ was the first automobile built entirely in-house. Motorized carriages were transformed from a plaything for the rich to a compact motorcar for the middle class in just ten short years. On January 21, 1889, Opel purchased the car factory owned by locksmith Friedrich Lutzmann of Dessau. This marked the date of Opel’s entry into the business as one of the first carmakers worldwide. The sons of Adam Opel, who died in 1895, teamed up with other carmakers to produce the company’s first two models. The first ‘Opel-Patent-Motorwagen System Lutzman’ to leave the factory of the Rüsselsheim-based carmaker in 1899 was based on the ‘arrow’ models previously built by Lutzmann. The designer proceeded to update the chassis and chain-driven steering to increase the ride stability and make the vehicle safer to drive. The design itself however was left unchanged and the vehicle continued to resemble a horseless coach. It featured a 3.5 hp, rear-mounted 1.5 l engine that helped the four-seater achieve a top speed of 20 kmh (12 mph). Over the next three years, 65 automobiles based on the Lutzmann system were built. At the time, the French were leaders in the carmaking industry. Following the Paris Motor Show in 1901, the Opel brothers dissolved the partnership with Lutzmann and signed an agreement with the successful coachbuilder by the name of Alexandre Darracq, representing one of the first joint ventures in the car industry. Under the terms of the cooperative agreement, Opel bodies would be mounted on Darracq chassis, with the car to be sold in Germany as an Opel-Darracq. Its main design feature was the rounded hood covering a coil cooler. One year later, the era of motorized carriage was already at an end and the time was ripe for something new. 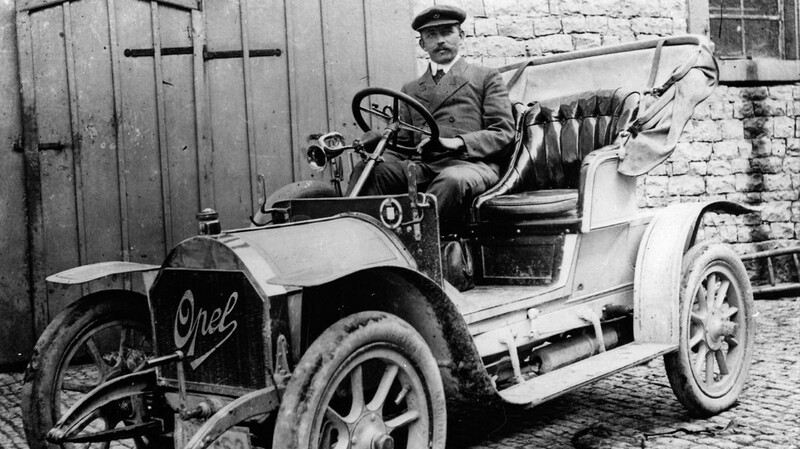 The first Opel designed in-house was the 10/12 hp model launched in 1902. The car was based on the first engine designed and built by Opel. The two-cylinder, 1.9 l motor produced 12 horsepower. Equipped with a vertically mounted honeycomb radiator and a large hood, the 10/12 model was much different from the vehicle it replaced. That same year, the carmaker celebrated its first major milestone when the 100th Opel rolled off the assembly line. A mere four years later, the 1000th car was delivered and Opel was named the next year as the purveyor to the imperial court. The company finally had its breakthrough with the launch of the 4/8 hp model in 1909. The car was available for 3950 marks, or less than half the price of any previous Opel. A module system of prefabricated bodies, chassis, and engines helped cut production costs substantially. The lower price, coupled with the low cost to operate the vehicle and the simple, sturdy design of the engine and chassis, opened the car to new groups of buyers who had previously been hesitant to purchase a car for financial reasons. ‘The perfect choice for doctors, veterinarians, and lawyers – with no chauffeur required’ was the slogan of Opel’s marketing campaign at the time. Sales of the ‘Doctor’s Car’ grew rapidly, as the automobile went from being a luxury item to being an everyday product. The time had indeed finally come when the middle class could afford a car. By the end of the year, the company had doubled its production and, in ten short years, carmaking grew from a niche industry into a market with a strong future. 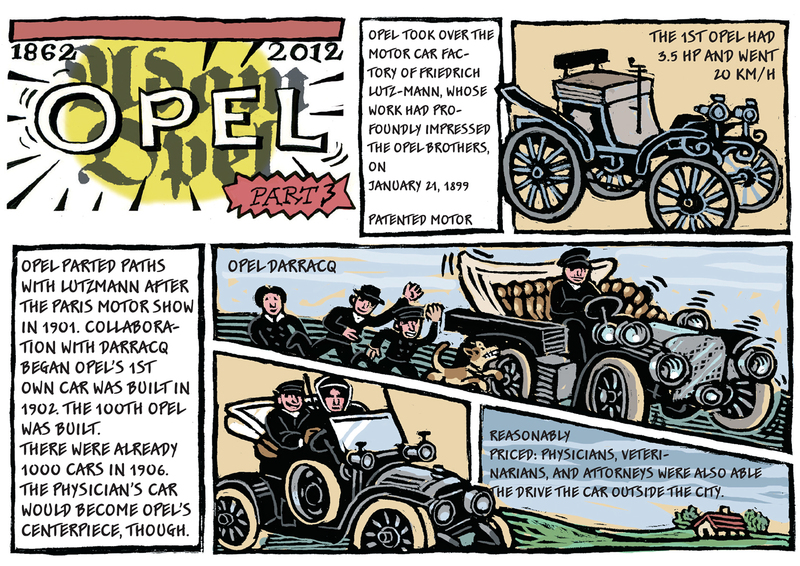 In May 1899, Heinrich Opel took part in the Aachen-Koblenz Rally, the first ­international race held in Germany. He drove a Opel-Darracq, but fell out of contention when the car encountered a problem with its starter. This competition marked Opel’s entry into the world of motor racing. Two years later, Heinrich teamed up with factory foreman Sedlazcek to win the Königsberg mountain rally.